Are you in the mood for some Christmas shopping in Barcelona? Want to know more about the Christmas markets in Barcelona in 2016? There are two Christmas markets that are well known in Barcelona. Here we will give you some basic information about those and also tell you when they will open and when they will close in 2016. This Christmas market in Barcelona is arranged just in front of the big and famous Cathedral in Barcelona. At this market there are around 300 stalls from which you can buy all sorts of Christmas effects. It has its origin back to a celebration of Santa Llucia on December 13th, but has since then developed into a big and full-time Christmas market. This Christmas market isn’t as big as the Fira de Santa Llucia, but it is growing every year. As you visit this you can expect to meet around 200 stalls from where you can buy all sorts of stuff. This was first of all a market where children could buy presents and toys, and it has kind of preserved that feeling. If you bring children you should be warned that they will find lots of toys and objects to play with here. 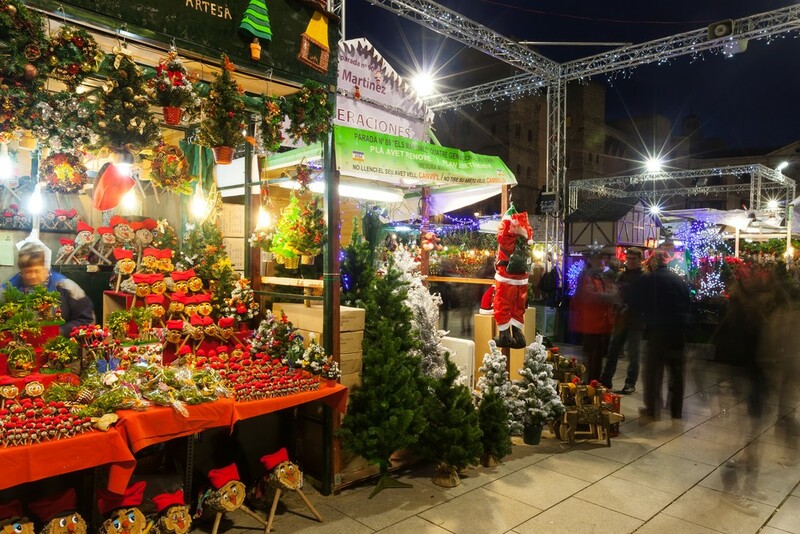 At the Spanish Christmas markets – counter to the Christmas markets in cities such as Prague and Budapest – you can mostly buy Christmas trees and other Christmas effects at the markets in Barcelona. Another important object to buy is the so called “Cagatió”. What is Cagatió? It’s a piece of wood with a painted face. A few weeks before Christmas everz family place it in the house and then cover it with a cloth. As the children look to this creature they know that Christmas is approaching.